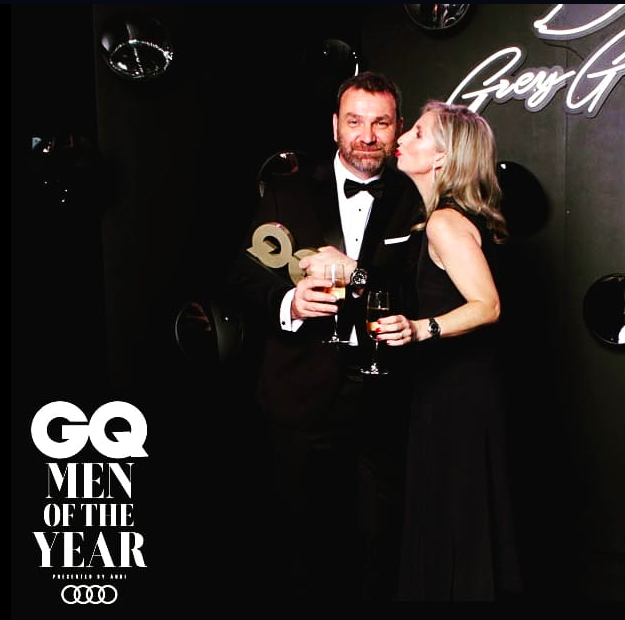 Last week, Matson & Ridley Safaris co-founder and my hubby, Andy Ridley, was awarded the prestigious GQ Man of the Year Award (social force category). Other winners on the night included Hollywood stars Joel Edgerton, Elizabeth Debicki and Emily Ratakkowski, sporting legend Kurt Fernley, media personality Todd Sampson, Grace Forrest (Twiggy Forrest's daughter & founder of the Walk Free Foundation to end slavery) and the awesome Australian Invictus Games team. It was a star-studded room full of actors, models, directors, business moguls, digital movers and shakers, journalists and media heavyweights. Andy used his acceptance speech to raise the profile of the Great Barrier Reef, to remind people that it's not dead, but that we are going to have to work together to save it. Congratulations Mr Ridley - you are really the epitome of the saying 'perseverance pays off'. You can get behind Andy's efforts to conserve the reef by signing up to Citizens of the Great Barrier Reef here. Watch Andy's interview on Sky News here. Listen to Andy's acceptance speech here. Next week I'm off to Rwanda to kick off the Akagera Elephant Project with a very small and exclusive group of guests. You can still sign up to join the project for a week with me in December next year, and join my Gorillas and Savannahs safari the week after, taking advantage of low season discounts. These journeys are both of now half full so please don't wait to get in touch. Drop me a line to sign up here. My trips are all booked one to two years in advance, giving you plenty of time to prepare and save for your trip of a lifetime! I'll soon be announcing my 2020 safaris. I'll give you a hint.... It might involve the Okavango Delta and the world's largest zebra migration! Yep... You guessed it, in June 2020, I'll be taking a small group with me to Botswana on a safari that encompasses three extraordinary parts of the country. If you're thinking about a 2020 safari, register your interest with me now and I'll send you the itinerary as soon as it's finalised!